Call Extension: Used for receiving and making calls and send SMS when you have a phone number enabled. Click to Call: Used to make phone calls from CRMs integrated with Toky. When they are installed and enabled you can see them next to the address bar. 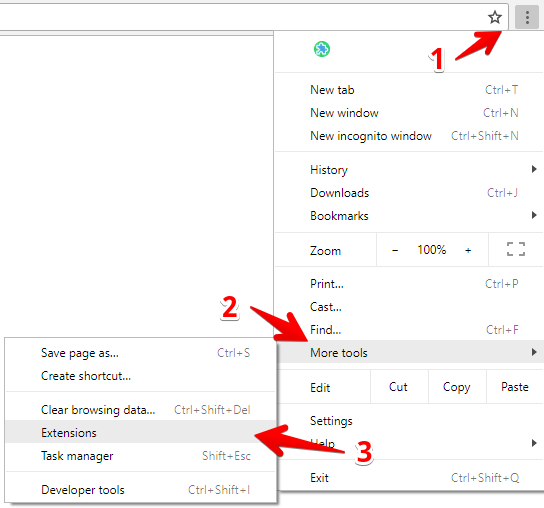 Click on the three dots icon next to the address bar and check if the icons are there. 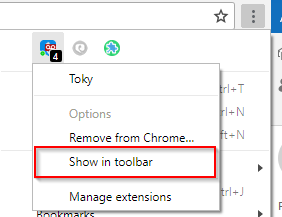 If they are, right click on each one and select the Show in toolbar option. In the Extensions section write Toky, if they are installed, you will see the extensions below. Check if they are enabled, if not, click on the switch in the corner. If these actions doesn't help you recovering Toky icons, please contact our customer service team.